If your event is sold out (congratulations!) and you still have people interested in attending your event you can set up an attendee waitlist in case tickets open up. 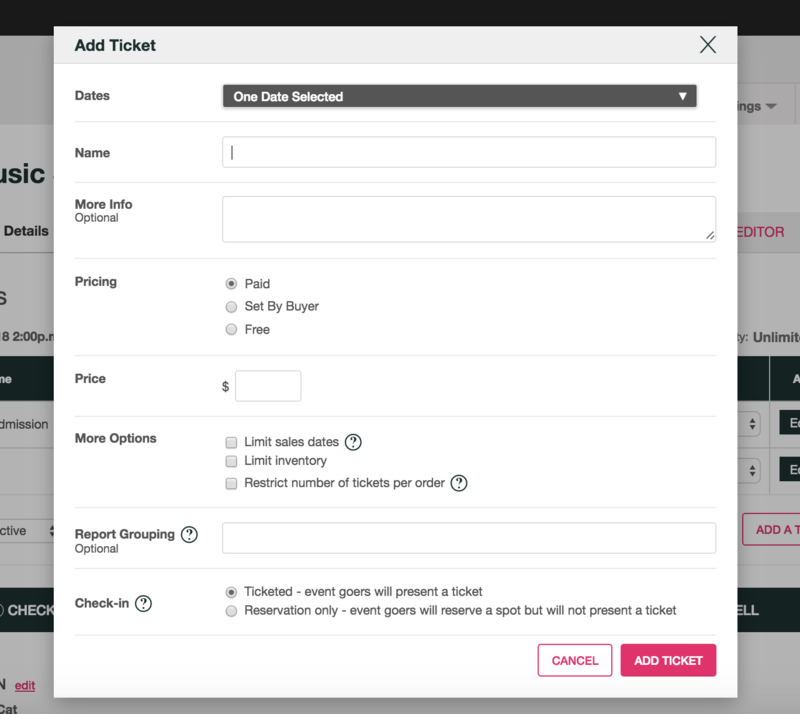 The attendee waitlist is done by creating a ticket type called "waitlist" and having it cost $0. 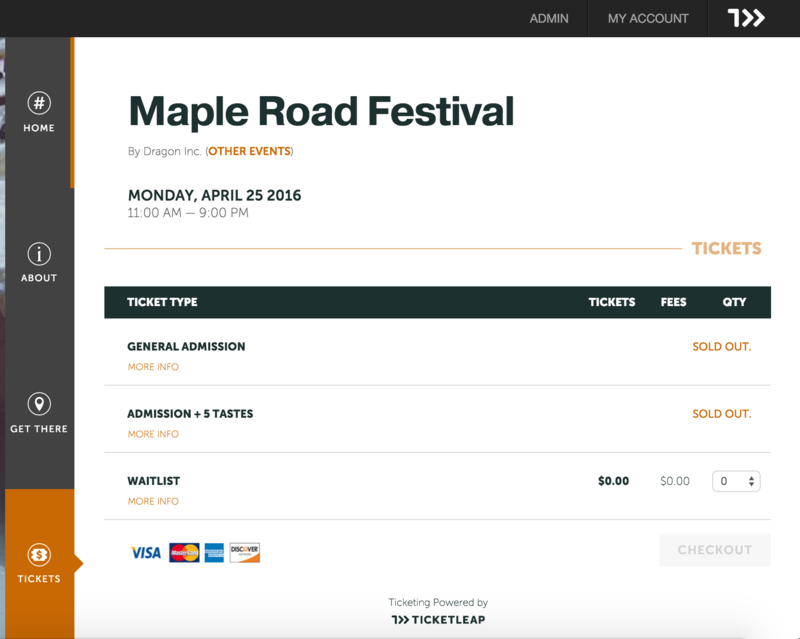 First, select the Details tab from the Event Home and click Add A Ticket. From here, give your waitlist ticket a name, like "Waitlist." Give your waitlist ticket a description. We recommend letting people know the waitlist does not guarantee them a ticket and when they will be notified if tickets become available. Then set your price for Free and click Add Ticket. If tickets become available, you should send an Email Blast to your waitlist, notifying them they have an opportunity to purchase tickets.